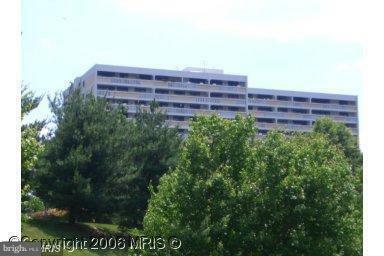 Spacious 2 BR 2 BA condo in popular Alexandria Knolls West available for rent. Nearly 1, 200 square feet, two balconies and floor to ceiling sliding glass doors. Freshly painted, kitchen with granite counters and newer appliances. Updated bathrooms and great views from your two balconies - see Old Town Alexandria and panoramic view! One assigned garage parking space. Directions: I-395 to Edsall Road East to 6101 on the left. Park in visitor parking and sign in car in lobby.